The cruise industry – a moving target riding the wave of change. With cruising now accounting for around one in eight outbound foreign package holidays, ensuring these ‘hotels of the sea’ are stocked up with beers, wines and spirits is big business. Some 1.7 million passengers step aboard cruise ships from the UK every year and ensuring they have access to the alcoholic beverage of their choice while on board is an important part of the experience. But, with the average cruise ship stopping in at port for just 11 hours and only allocating 3.5 of those to restocking, how does the drinks industry hit these ‘moving targets’ before they sail away? And what are the opportunities for the UK drinks industry within the cruise market now and in the future? I remember being fascinated the first time I experienced a cruise ship ‘change-over’. A million and one things were happening at once, like a well-rehearsed ballet with a cast of thousands. There were cleaners, electricians, waiters and plumbers rubbing shoulders with musicians, chefs, and bar tenders. “It was quite the spectacle to watch, as, within the space of just a few hours, some 3,000 passengers and their luggage disembarked the ship and it was completely restocked and ready for its next troupe of excited holiday makers. So how does this ballet of change and stock-up work so well? Put simply, it has to. A cruise ship is not a pub or a restaurant. If the products are not loaded onto it during their allotted time, the supplier can’t simply drop by a bit later on. If drinks suppliers don’t get their liquid cargo to a cruise ship on time, chances are it won’t be there later on. For a drinks supplier, missing a cruise ship delivery is like letting a major contract sail away into the sunset. The key to hitting these moving targets is all in the planning. From anticipating trends in on-board drink sales to plotting out a back-up route to the dock in case of traffic, the key is to be prepared. The ordering process utilises several elements: the current sales over the last four to six weeks, the sales trend over the last few months, the comparable sales trends from the previous year and any customer forecasts or anticipated changes in demand noted by a change in season. From this information a decision is made on how much stock should be brought in for our customers. Other products that present a real opportunity for the drinks industry are those with gift value. As a company we’ve been supplying the cruise industry with beers, wines and spirits for almost 40 years and there is a growing demand for spirits with gift value. Brand owners that can offer spirits with an inherent ‘shelf power’, be that through the packaging or through an exclusive range, are seeing an uplift in sales. Consumers within the travel retail market are savvy and want to bring back gifts for friends and family that simply aren’t available in the supermarkets. Drinks brands that are switched on to this trend are reaping the benefits. But back to the journey of alcohol from warehouse to waves… We hold multiple beers, wines and spirits for multiple brand owners at our bonded warehouse. With each cruise liner giving a separate purchase order for each brand owner, it can seem like a complicated affair. Meticulous checks and investing time into processes and procedures ensure we have exactly the right products for the voyage. A ‘picking list’ is created from the purchase orders and the goods are assembled in the warehouse, with a pallet manifest being made at the same time. This allows the crew on the cruise ship to easily identify what products are on each individual pallet. Drink supply and indeed logistics for the cruise industry is very different to the domestic market, with strict port safety and security measures having a big impact on the way deliveries are made. Before delivery is even arranged, driver and vehicle details need to be entered into the cruise company’s security system. On the day of arrival, the vehicle will be alongside the ship at the break of dawn, ready to offload the high duty goods. We have a maximum of 3.5 hours to turn this around on the day. Bearing in mind we’ll supply on average 370 x 12 cases of wine, 110 x 12 cases of spirits, 450 cases of cased beer and 75 x 10 gallon kegs, along with other tobacco and gift products, it’s no mean feat. As well as general restocking, removing kegs is an important part of the process and is probably even more important to the cruise industry than the domestic market. While, like pubs and restaurants, cruise ships need to keep empty kegs to a minimum for space reasons, these vessels also have to consider the fuel costs of shipping around ‘dead weight’. Not being able to remove the kegs before sailing would have very real cost implications. The type of cruise ship will have an impact on the drinks and particularly spirits stocked on board. The more luxury cruises will have a greater demand for high end wines and spirits, whereas the more ‘accessible’ cruises are keen to provide lower cost alternatives to the leading brands. Brand owners within the drinks industry can capitalise on this by putting forward lesser-known products at a lower price to the right customer. The most popular spirit we supply to the cruise industry is Bacardi, followed closely by Gordon’s Gin and Famous Grouse. Looking at the future and the way I see the drinks industry interacting with the cruise market over the coming years, I believe there are opportunities for smarter working partnerships that benefit both parties. I also believe we have a lot to learn from our friends across the pond. In the US, where the cruise industry is a huge part of the travel and tourism sector, brand owners are starting to form closer relationships with the liners. They see the benefits that better understanding of the product range and promotions can bring and are increasingly putting ‘brand ambassadors’ on board ships to train staff on their ranges. I see this as the future for the drinks industry in the UK and it’s certainly something we’re looking at doing to connect the brand owners we work with to our cruise clients. The trick will be to ensure these brand ambassadors have some element of independence, to give all involved the confidence they need. Looking closer to home at the domestic market as apposed to the cruise market, there is another change on the horizon for the UK drinks industry. Historically brand owners have appointed one distributor to handle the sales, marketing and delivery of their products. Traditionally those distributors have appointed another third party to handle the logistics side of the work – meaning brand owners are removed from what’s going on on the ground. 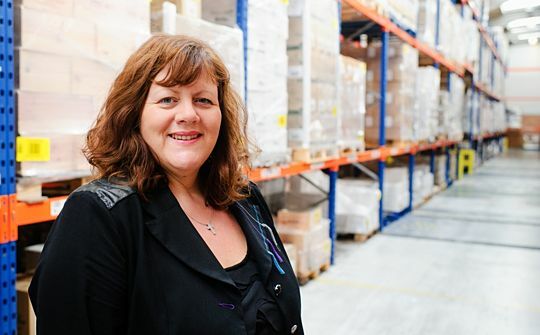 We’re starting to see some brand owners turn this model on its head, taking the sales and marketing elements in house and appointing the logistics provider direct in order to regain control. This model is giving brand owners better value, better efficiency and better control and it’s possible that the trend will gain in popularity as we go into 2014 and beyond.